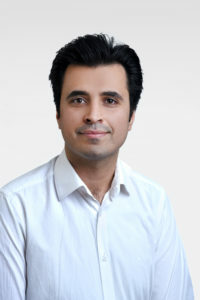 Maysam is a PhD student in the institute for machine learning at ETHZ since January 2018 and privileged to be under supervision of Dr. Fernando Perez-Cruz and Dr. Andreas Krause at SDSC. He is interested in working on advances in generative machine learning and their applications. Previously Maysam received his MSc in computer science from University of Toledo, Ohio, USA. During his master, as a research assistant, he worked on applying Machine Learning algorithms on physiological data and social network. Also, he received his BSc in computer engineering from Shiraz University, Shiraz, Iran. Maysam enjoys hiking and reading books.